That made me sad as 3 months ago, used 2013 Nissan Leafs were selling around here for around $7000. He said that isn’t the case anymore. It is over $10,000 now and approaching $11,000 at the car auction as I got to speak to his partner as well who was actually at the auto auction. Well, I said, I know gas prices have started their upward trend but why is it going up by $3000 in three months. It turns out the market increase of the Nissan Leaf and corresponding Smart EV doesn’t have to do with the USA market heating up, but rather the overseas market. More and more cities across the world are blocking traffic to the inner cities to gasoline powered vehicles. So anybody that wants to drive into city centers are forced to purchase electric cars. Well, this business is sitting there waiting for the opportunity. Cars from all over the USA were in that warehouse. California cars to New Jersey cars. The market has shifted and the price of your used EV could be going up so don’t sell yet as it might be the only car in history whose price isn’t depreciating but appreciating. Imagine that. In fact, in February of 2017 used Nissan Leaf was a steal. This doesn’t apply to all EVs the owner stated. He said the Soul EV was not liked overseas for whatever reason and he thought it was because of the rear seat leg room. I have no idea why but the fact of the matter is that the used EV market is not just local. It is being affected by policies set by governments around the world now. Over and over, we have seen the EV market affected by tax policy and government incentives and have proven to distort the EV marketplace. Georgia tax policy should a huge increase in Nissan Leaf sales a few years ago and then it was canceled the market totally changed as soon as the policy was amended. 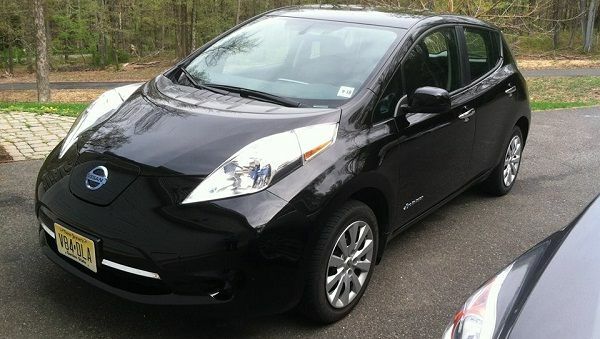 See what determines the residual value of Nissan LEAF. Overall, the Electric Car marketplace would be much better off the sooner the government go out of the way and let the free market fix the problems created here. The excuse of “priming the pump” is old now and doesn’t always work. While I personally like not pay the sales tax in NJ when Im purchasing an all electric car, I think I would still buy it even without that tax incentive. I just don’t want to buy gas anymore. That is how I few things. I rarely buy something because the government is giving me a break on my taxes for it. I bought my house so I could live in it, not get a mortgage tax deduction off of my taxes. In general, the believe the EV market is charging for the better and less and less will need to be done on the government side to incentivize purchases. With the increase ranges all coming out more and more from the Chevy Bolt and Tesla Model 3, there is ample choice now with longer range electric cars. This means that the marketplace will be heading more and more towards EVs as the cost per mile is always less than a gas car. That means eventually the market will win in favor of EVs. The self driving car will also impact the market but I don’t see that coming all here as quickly as one might think. That is obviously a story for a different day. It is a small world after all. Guess I'll have to go to Disney.....LOL Thanks for your comment. the commentator seems to have a rather conservative fiscal perspective to subsidies towards EV cars for purchase incentives. I personally won't be buying a $30-35k electric car until the federal or provincial governments give me a 7.5k or more tax credit for purchase of new or used EV or hybrid vehicle. Roger, I'm a conservative but also an EV Supporter. I started the NJ Electric Auto Association and was elected to the Board of the Electric Auto Association nationally in 2010. I totally support the EV subsidies and will continue to do us and will never support taxes on EVs until congress cuts the gasoline and oil subsidies. Thanks for your comment. Where is this warehouse, is it at the dealer? Are dealers or drivers buying up Leafs? You fail to explain what's happening. Here's a partial selection of incoherent phrases "at the car auction as I got to speak to his partner government incentives and have proven to distort the EV marketplace Georgia tax policy should a huge increase in Nissan Leaf sales the sooner the government go out of the way the believe the EV market While I personally like not pay the sales tax That is how I few things. With the increase ranges all coming out more and more the market will win in favor of EVs. I don’t see that coming all here " Atrocious! The tax credit for an EV is a poor substitute for a carbon tax that would reflect the harm from burning fossil fuels, but sadly U.S. government is allergic to "tax." The dealer I reference in the article has a warehouse full of EVs that are soon shipped overseas. This is increasing the price of used Leafs in the USA. Also, I'm 100% for the EV subsidy and will support such until the Oil and Gas industry give up their precious subsidies.